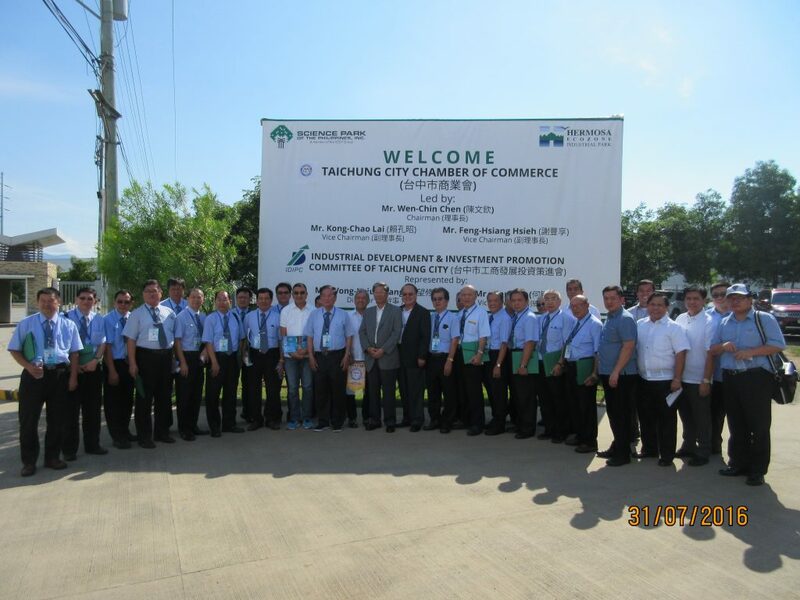 A 30-man delegation consisting of officers of the Taichung City Chamber of Commerce and the Industrial Development & Investment Promotion Committee of Taichung visited Hermosa Ecozone Industrial Park (HEIP) in Bataan last August 4, 2016. Science Park of the Philippines, Inc. headed by its President & COO, Mr. Rommel Leuterio, welcomed the Taiwanese delegation who came to the country to explore investment opportunities and evaluate potential industrial sites. The Taichung City Chamber of Commerce was led by Messrs. Wen-Chin Chen, Chairman; Kong-Chao Lai, Vice Chairman and Feng-Hsiang Hsieh, Vice Chairman, while the Industrial Development & Investment Promotions Committee of Tai chung City was represented by Messrs. Wong-Hsiu Huang and Mark Ho. Both groups from Taiwan were on the lookout for sizeable industrial sites that could accommodate clusters of industrial and manufacturing plants. HEIP, a 162-hectare world class industrial estate, received positive feedback from the Taiwanese potential investors. The brief visit ended on a high note with promising opportunities for future investment and collaboration.